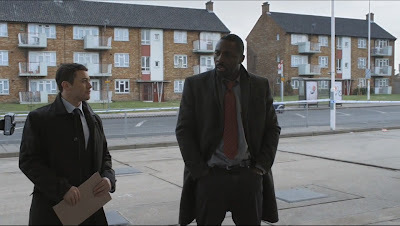 Spanning only four episodes in length – but never feeling short – the second season of the BBC crime drama Luther is overwrought. A condensed season is more than enough to wet the appetite, and then satiate the hunger by the end. While the first two episodes may not have the intensity of the latter, a tense knotted feeling in your gut still permeates each hour-long showing. How Luther wiggles his way free from consequences from the end of the first season isn’t a focus. We are thrust into a new Bureau (if it’s called such a thing in Britain) and DCI John Luther is once again faced with serial killers and maniacs. It goes much further. Yes there is a psychopath on the loose; John still has demons (in the form of people he’s helped or hurt in the passed) that constantly haunt him. It’s the strange pairing of John’s life and his job that guides things forward. 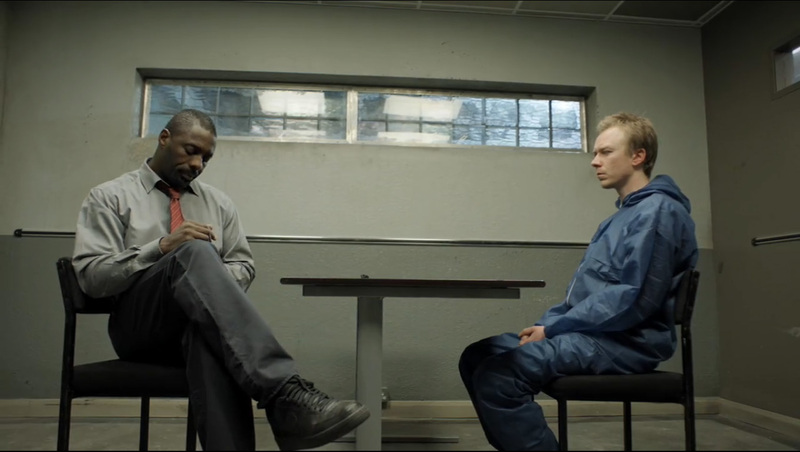 Luther’s darker past creeps back to look him in the eyes and ask for help. And Luther, just being a simple man (a brilliant man in many respects) tries to do the right thing…he just gets caught in the wrong places. The series feels strangely like a film, a long film -- but no less griping. Not every scene is going to steal your breath away. There’s a somber tone drizzled on top that wasn’t there in the first season. There is a small feeling that no matter how muddy John Luther tends to get himself, he’ll come clean in the end. And while not formulaic, patterns can be inferred upon would a third season be in the works. That doesn’t mean the show struggles to surprise. Far from it. It’s actually quite difficult to see the bread trail leading to our destination. The show isn’t about who the murderer is. It’s, “how do we get him?” And the finale isn’t’ expected. Really, how each installment could end isn’t evident. One aspect that helps the second season is the audience being more involved in how Luther problem solves. He still thinks internally, and then shows the audience after the fact. 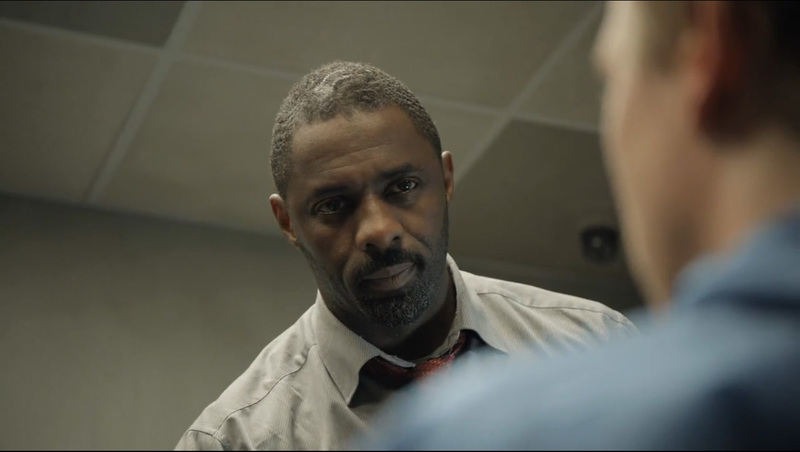 It’s less understated this time around, making Luther feel less like a crime stopping savant. Both the first and second seasons are exceedingly well crafted. It’s not completely without flaws. But they’re so minuscule that I have a hard time giving any examples. Luther doesn’t fall into a stale pit of procedural repetition like today’s crime series’. Clocking in at only ten episodes in total, things aren’t drawn out. Events happen, people die, and it needs to stop now. It’s not an ongoing Looney Toon world where there’s dozens of killers – and by keeping things centered on two killers (maybe three if you want to split hairs) an easily digestible pace is formed: where you never feel like things are going to fast for you to either understand or care about. Idris Elba is becoming an actor I want to see play in everything. He lives in the role, and his emotions are so seeable on his face it’s difficult to not care about him. The spontaneity to how he handles a conversation and his charisma stand out among the others, who in their own right are very good. It’s also a testament to each writer and script artist. Luther’s mind is like a black hole: you have no idea what’s on the other side, he just reaches out and immediately says or does what he pulls out. How he’ll fair in the end is the real mystery.